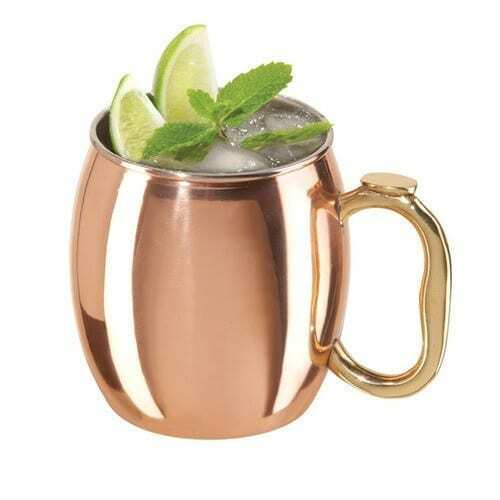 Rent Copper Moscow Mule Mugs to serve the classic Moscow Mule, Beer, or other cold beverages. The perfect drinking companion for hot summer afternoons, the traditional copper mug becomes chilly to the touch when filled with the iced beverage of your choice. What is a Moscow Mule, and how do you make it? Moscow mule is a delicious cocktail concoction made with vodka, spicy ginger beer, and lime juice, garnished with a lime wedge. The Moscow mule is served in a chilled copper mug because it keeps the drink cold and delicious. Click here for the full classic recipe. Need helping figuring out how much alcohol to purchase, click here. Preparation: Add vodka and ginger beer in a chilled copper mug or highball glass filled with ice then add lime juice. Stir gently and garnish with a wedge of lime. Served: On the rocks or poured over ice. **Just 4 Fun Party Rentals is located in Santa Barbara, California.